Be proactive: optimize the time you and your language partner spend together. 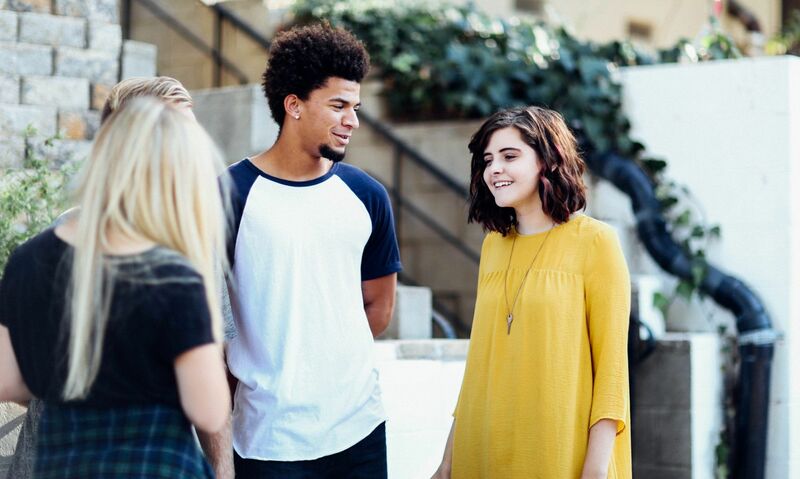 For the intermediate and advanced language student, an exchange with a native speaker is one of the best ways to practice conversation, learn colloquialisms, and develop a friendship with a person from another culture. The only problem is that oftentimes these meetings end up covering the same conversational topics again and again, or break down into English. If you are feeling that your time with a language exchange partner could be more productive, give these techniques a try. Pick your meeting place carefully. A favorite bar, restaurant, or cafe are all fun and popular places to meet with a language exchange partner. However, if your meeting place is too loud to talk at a comfortable level, filled with your friends, or distracting in some other way, it is probably limiting what you are getting from each meeting. Likewise, if you find that your quiet meeting place is making the interaction between you and your partner a bit stiff, than a livelier location might loosen you both up and spark some conversation. Finding an atmosphere that works for both you and your partner is one of the most important things to developing a beneficial and productive exchange. Another impediment to productive classes relationship is establishing a schedule and sticking to it. Be flexible at first and work to find a time that will truly work for both people. If your language partner is constantly calling and canceling meetings, make the effort to reschedule. If the meeting time is a challenge for you, don’t be afraid to suggest a change. To make a language exchange worthwhile you must take initiative for your own learning. Take time before each meeting to write out a few situations, sentences, questions, or words that you would like to practice in your meeting. If you notice yourself slipping into English, move back into the language you are learning. A good way to maintain focus in a language exchange meeting is to take notes. Over the course of a conversation, words and phrases that challenge you will come up and taking notes will allow you to capture this language for later study. Also, the pace of a conversation can be so fast at time, you finish without really remembering what was discussed. Notes taken from meeting to meeting will allow you to plan for the future and decrease the amount of repetition in your conversations. Generally speaking, a meeting with a language partner is not the time to ask questions about specific grammar points. It is also not your job to give lessons on English grammar, even if your partner makes frequent errors. Instead, focus on communication. If both you and your partner can express the intended ideas, the exercise should be considered a success. That is not to say that grammar mistakes should be ignored. If errors interfere with effectively expressing meaning, or your partner is making consistent, specific, errors, they should be discussed when they happen. Just avoid killing the flow with a lengthy discussion of grammar rules. With some language partners, no matter how much initiative you take, it is nearly impossible to stay on task. For situations like this, introduce the use of a timer. While it does seem a bit stiff and structured at first, keeping formal time for each segment of the meeting can do wonders for focusing the group. When you use a timer, try to establish periods of time with specific goals in mind. An example might be five minutes of general greetings, ten minutes of sentence review, five minutes of new vocabulary, etc. Having regular meetings with a language exchange partner is a great way to practice and improve a foreign language. It is also a great way to make a new friend. With a little planning and the use of a few organizational techniques it will be easy to get the most out of the meetings and have fun at the same time. Siguiente entradaSiguiente Spanish lessons at the Stadium!